French police storm two hostage sites in Paris and north of the city, with the hostage takers reported dead (BBC). Gunmen attack the Paris office of French satirical magazine Charlie Hebdo killing 12 people and wounding seven in an apparent Islamist attack. 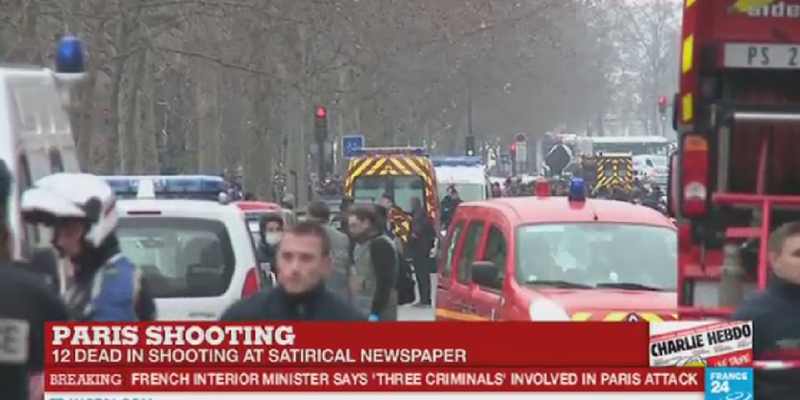 Follow AFP live reports of Paris shooting at Charlie Hebdo here. Reaction of the President of the European Commission Juncker here. European Parliament President Martin Schulz released a video. Obama spoke to Hollande about Paris attack: White House. Speech by François Hollande (Elysee). Spain beefs up security after French newspaper attack (Reuters). If you follow our twitter account you can see all the images of people in Brussels meeting at Place Luxembourg for the #jesuischarlie rendezvous.